Borley is a small hamlet on the borders of Essex and Suffolk, lying between Sudbury and Long Melford, some fifteen miles from Bury St. Edmunds. The village comprises of a few scattered houses and its only noticeable feature is the twelfth century church. Next to the church stands the sixteenth century house - Borley Place. In 1862 Borley Place was the home of the rector of the Parish - the Reverend Henry Dawson Ellis Bull MA - while he built, across the road, Borley Rectory to house his sizable family and numerous servants. Whilst there is an unfounded tradition that the rectory was built on the site of a thirteenth century monastery, it is probable that at least two other buildings had previously occupied the site - an earlier rectory and Borley Manor House. As the size of the Bull family grew the rectory was added to, originally having eight bedrooms; a further three were added in 1875 - 6. Following the death of Henry Bull (1833 - 92, rector of Borley 1862 - 92), the Reverend “Harry” Foyster Bull (1862 - 1927, rector of Borley 1892 - 1927) succeeded his father as rector of Borley and continued to live in the house with a number of his siblings. Both are buried in the churchyard. On the death of Harry Bull the rectory remained vacant for over a year, until it was occupied by Rev. Guy Eric Smith and his wife, Mabel, in October 1928. It was Rev. Smith who, concerned by local rumours and his own unexplainable experience, sought help from the Daily Mirror. In turn the editor of the Daily Mirror contacted Harry Price, the well known ghost hunter and psychical investigator. Harry Price visited the house in June 1929. Soon after his visit, on 14th July, the Smiths moved out, to be followed by a cousin of the Bulls - the Reverend Lionel Algernon Foyster (rector of Borley 1930 - 35). In 1936 the livings of Borley and neighbouring Liston were merged, the rector - Rev. A. C. Henning - residing at the Liston Rectory, about a mile from Borley. 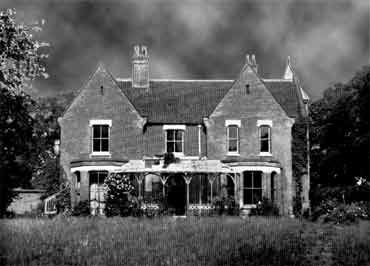 Becoming redundant, Borley Rectory was, at the end of 1938, sold to Captain Gregson, shortly afterwards, in what may be described as strange circumstances, the rectory was burned down. Storms caused further damage to the structure and it was subsequently demolished. Harry Price assumed that with the end of Borley Rectory the phenomena associated with the building would also come to an end; he later declared that this conclusion had been in error and that the ghosts had simply moved across the road to Borley Church.